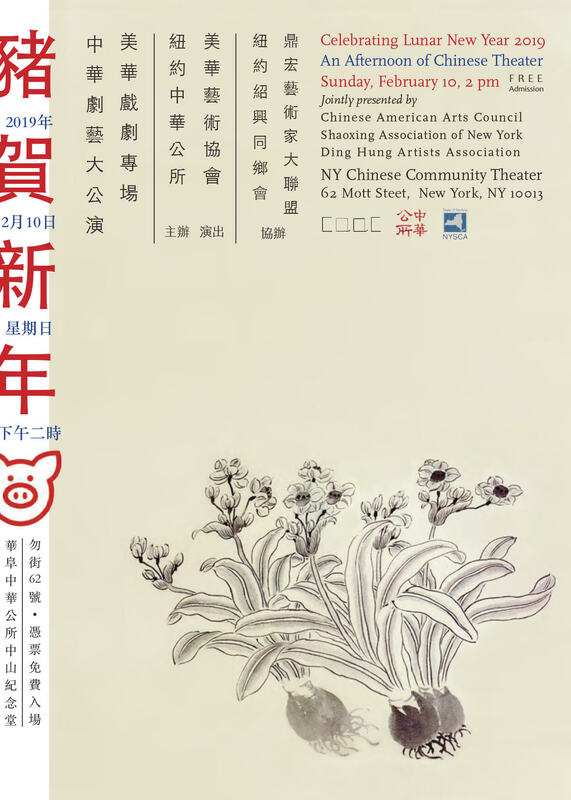 On February 10 2019, celebrating Lunar New Year of the Pig, Chinese American Arts Council will present a celebratory program of an Afternoon of Chinese Theater at the New York Chinatown Community Center Theater at CCBA. 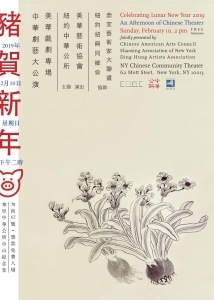 The program includes excerpts from 14 renowned and popular opera plays, each has its own unique story line, music, vocal performance, mime, and dance. The performance is free admission with general seating. Please join us for an afternoon of music, culture, and arts.